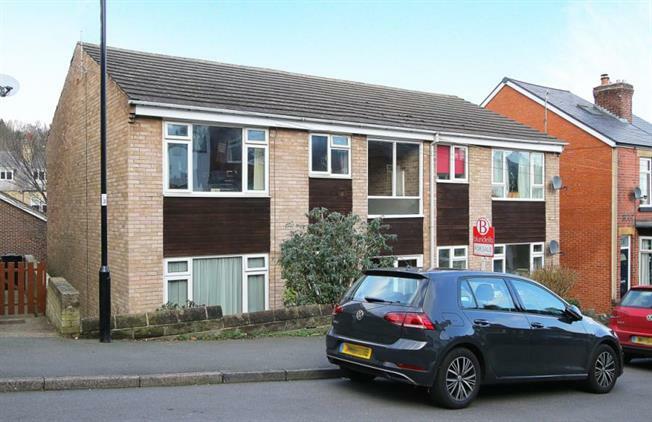 1 Bedroom Flat For Sale in Sheffield for Offers in the region of £110,000. Available to market is this one bedroom first floor flat having no onward chain and immediate vacant possession, situated within this ever popular residential location only a short walk away from the many amenities of Hangingwater, Handy for local amenities in nearby Nether Green, Fulwood & Ranmoor whilst enjoying easy access to the Universities, Hospitals and the city centre. And within walking distance of many delightful walks of the Porter and Mayfield Valley including the Sheffield Round Walk. Close to the Peak District Countryside yet within easy access of local shops and nearby recreational facilities. The accommodation in brief comprises: Communal entrance with stairs rising to the first floor accommodation, entrance hall with storage cupboard and loft access, front facing lounge with laminate to the floor, kitchen with a range of wall and base units with cooker point, space and plumbing for an automatic washing machine and laminate to the floor, double bedroom having a range of built in wardrobes, draws and laminate to the floor and bathroom having a three piece suite in white comprising: wash hand basin, low flush wc and bath with electric shower above, tiling to splash backs and floor. Outside : Communal garden and garage providing storage or off road parking.